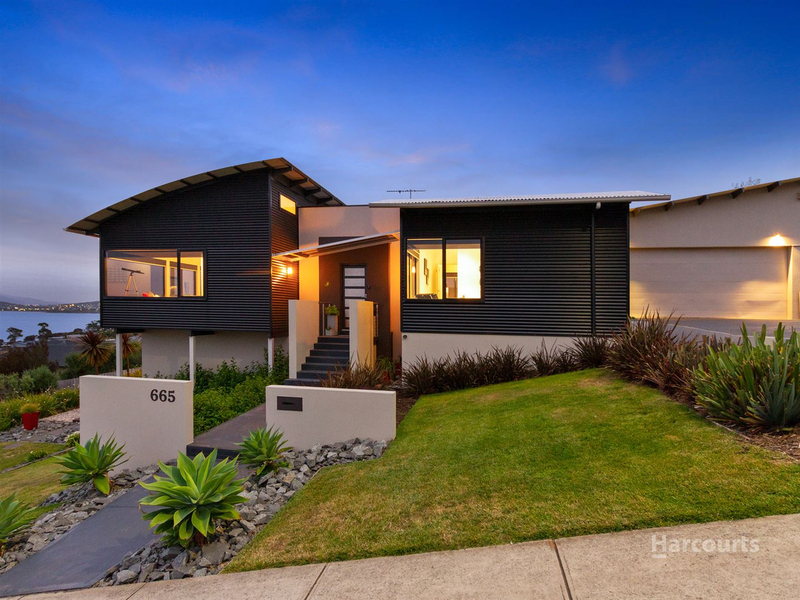 Buyers in the $930,000 + price range should enquire. You've not experienced contemporary luxury like this before. Location. Views. Designer interior. This incredible home has it all. 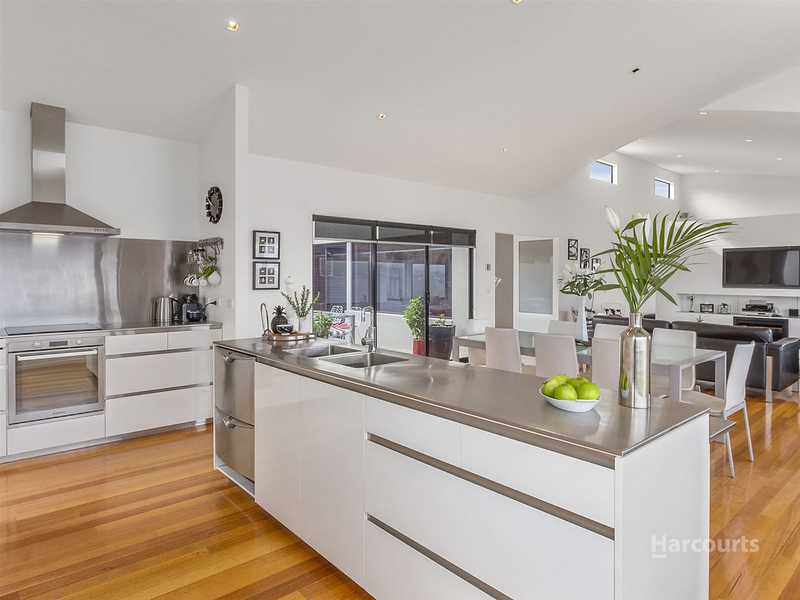 As you drive up the street towards this property, you cannot help but notice its grand proportions. Surrounded by beautifully landscaped and terraced gardens, this home has so many outstanding features such as: two decking areas with water views, a fully sealed drive leading to the sizeable garage, a modern and inviting entrance and so much more. 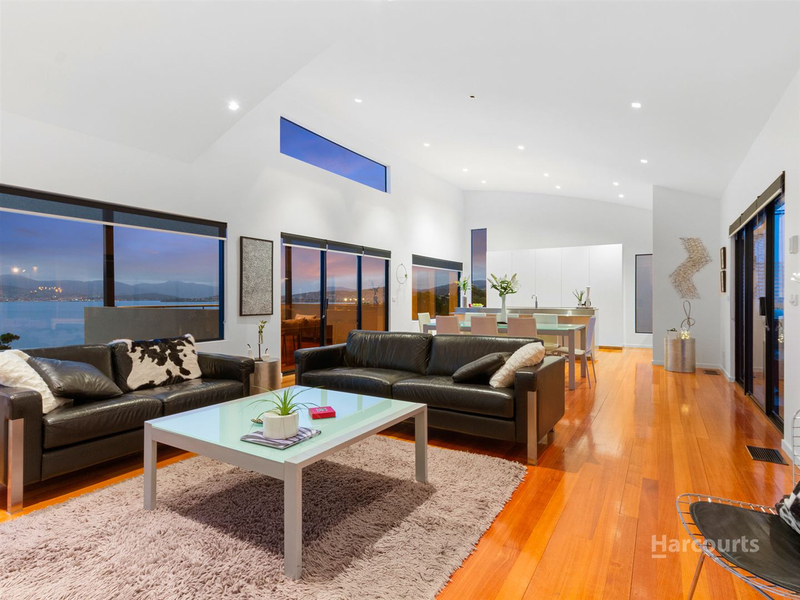 Exploring the interior, it is instantly clear that this expansive home has been built with luxury in mind. 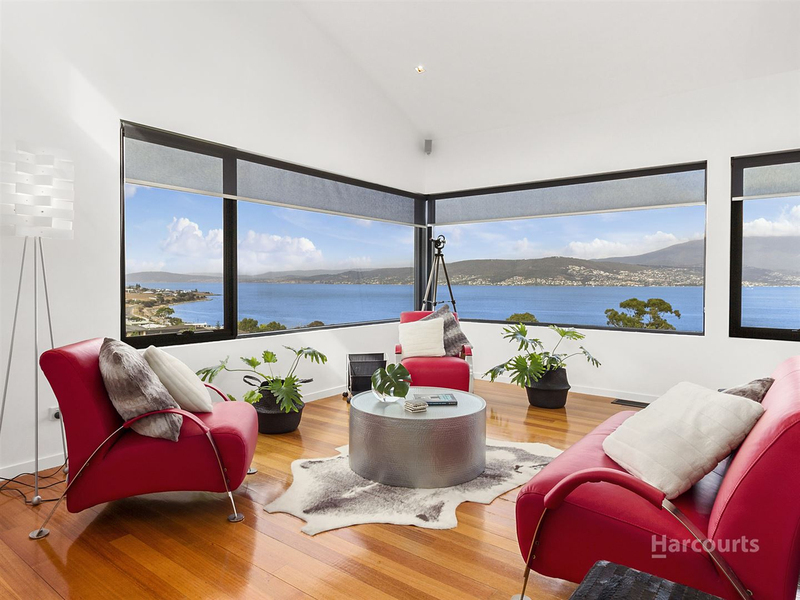 The high ceilings and clever lighting create a dramatic effect with all the glass - there are large windows throughout that truly capture the incredible urban and water views. 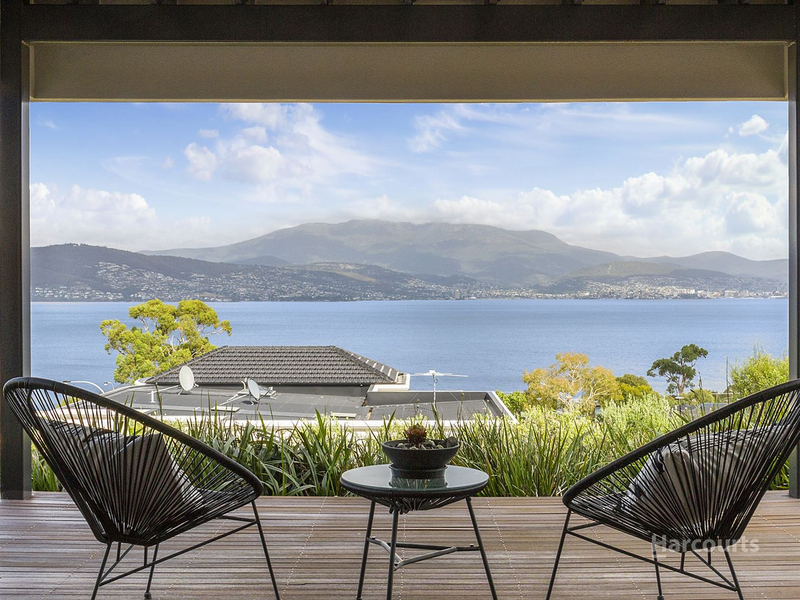 With an uninterrupted panorama of the Derwent River and Mount Wellington, it doesn't get better than this. 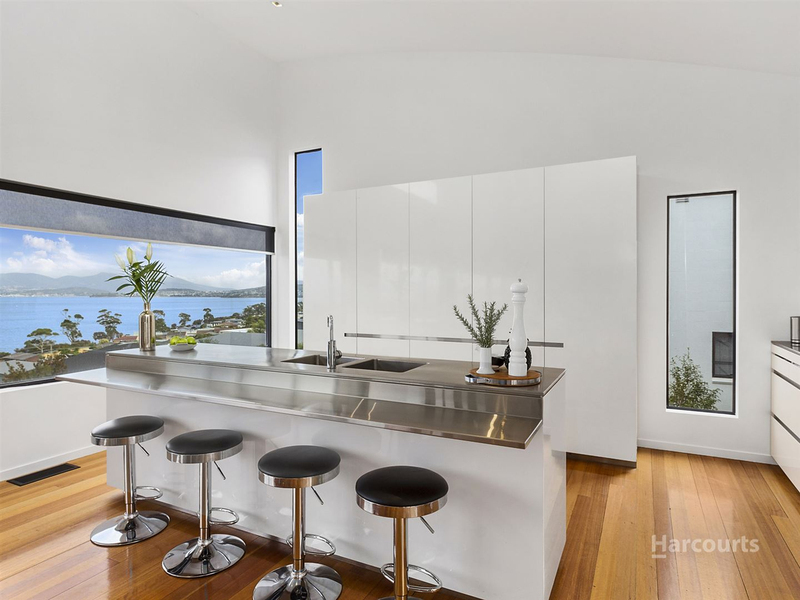 The open plan lounge, dining and kitchen makes the most of the view, while also being spaciously designed and light-filled. 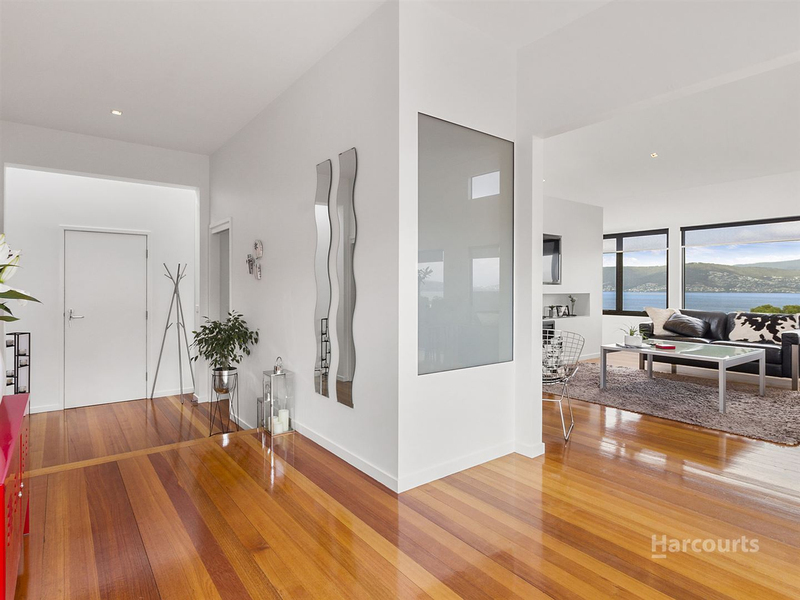 Polished hardwood flooring throughout. Impeccable design has gone into the kitchen, with the integrated fridge and freezer cleverly concealed in tall white cupboards. The oven and cook top are also hidden off to the side of the main kitchen area, creating a seamless scene when admiring the room at full. 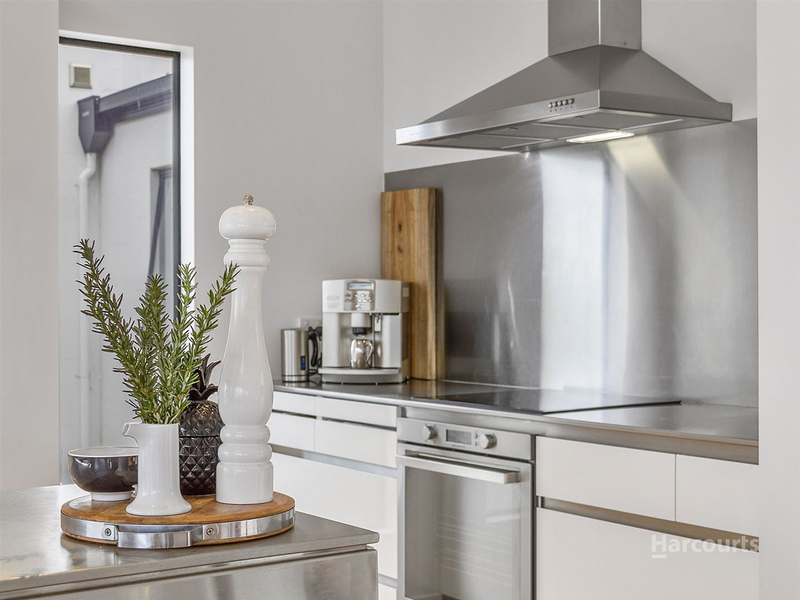 The bench tops are crisp stainless steel, as is the rangehood, splashback and fittings, plus there is ample storage. A sitting area is located behind a feature wall in this elongated room, making the most of the views here also, while ensuring this space can be one of relaxation and privacy. 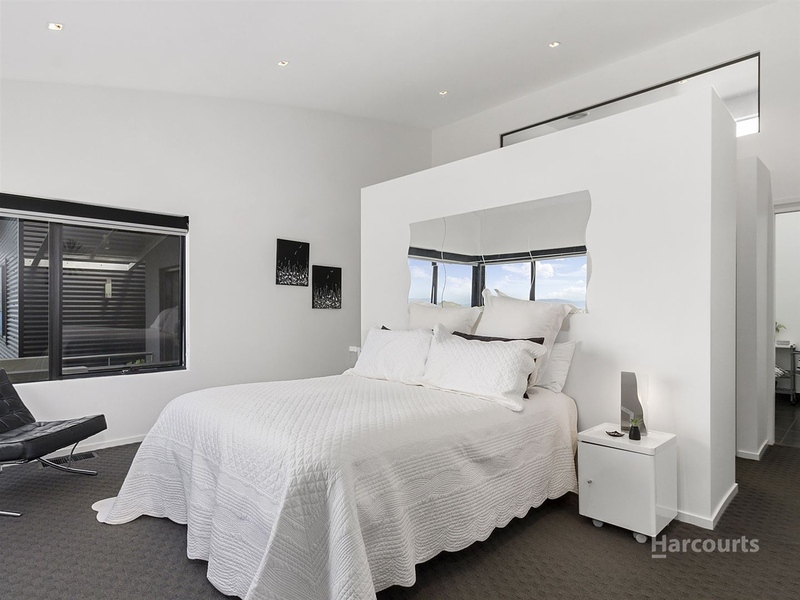 The master bedroom is also clever and sophisticated in its design, with a dressing area/walk through wardrobe and stunning ensuite. 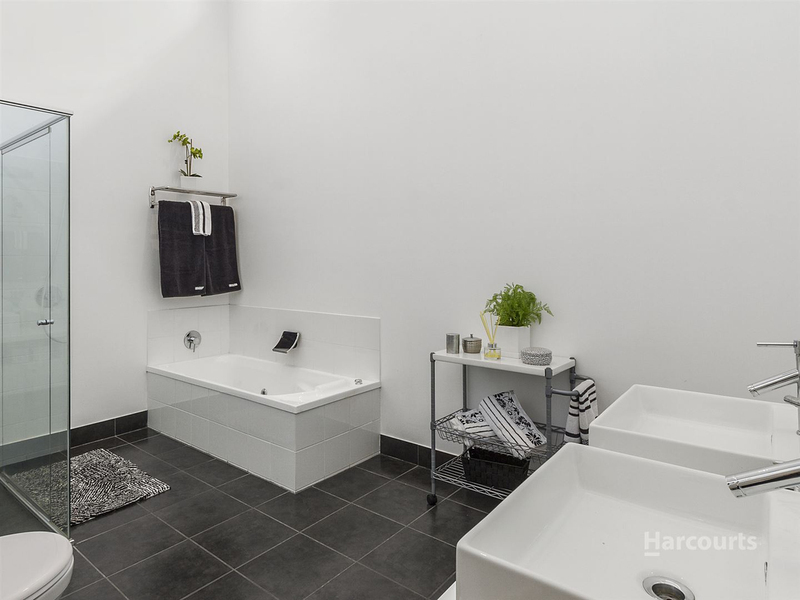 The ensuite, large and tiled in a monochrome palette, has a bath, shower, toilet and dual sinks. 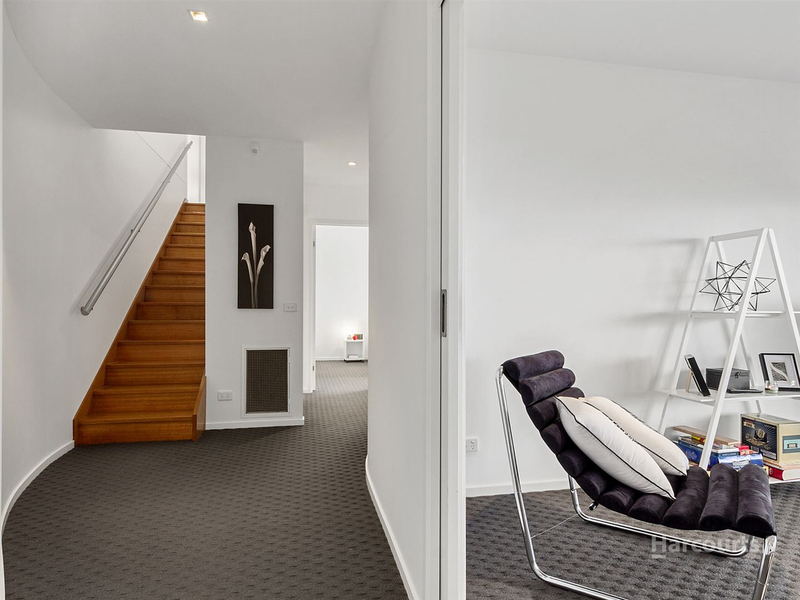 The guest powder room is separate for added convenience, and the laundry can be easily accessed at the end of the hall, similarly the entrance to the garage. 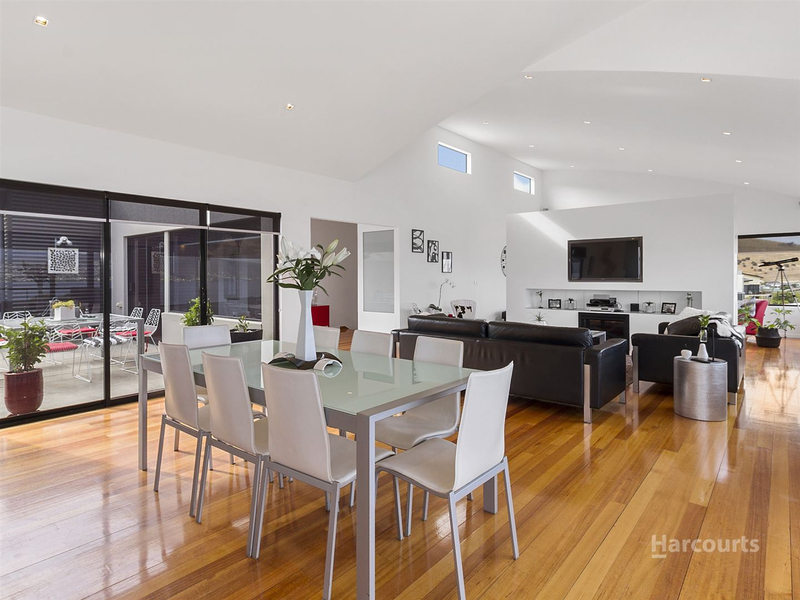 On this upper level, there are multiple indoor/outdoor entertainment areas which add extreme value to the home. 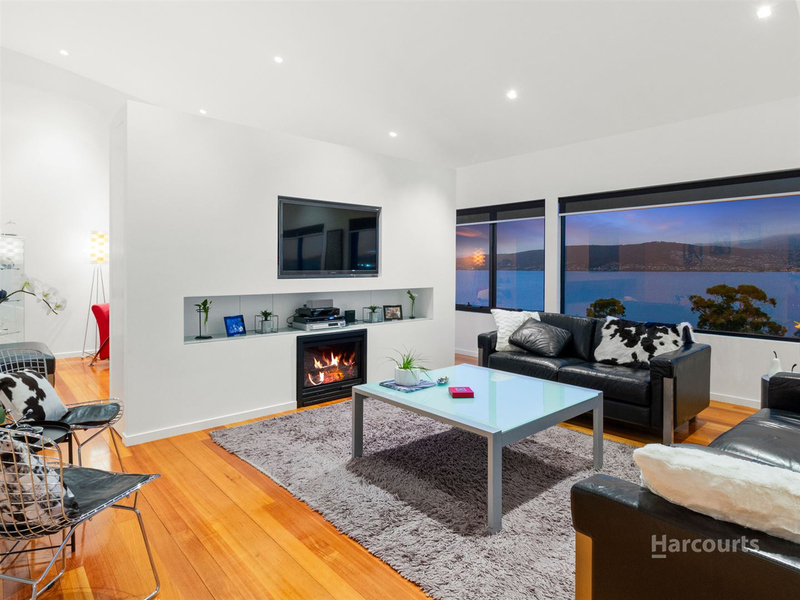 Accessible via sliding doors from the dining area, one may walk out onto the top floor balcony to relax on the couches and admire impressive views of the casino, river and mountain. 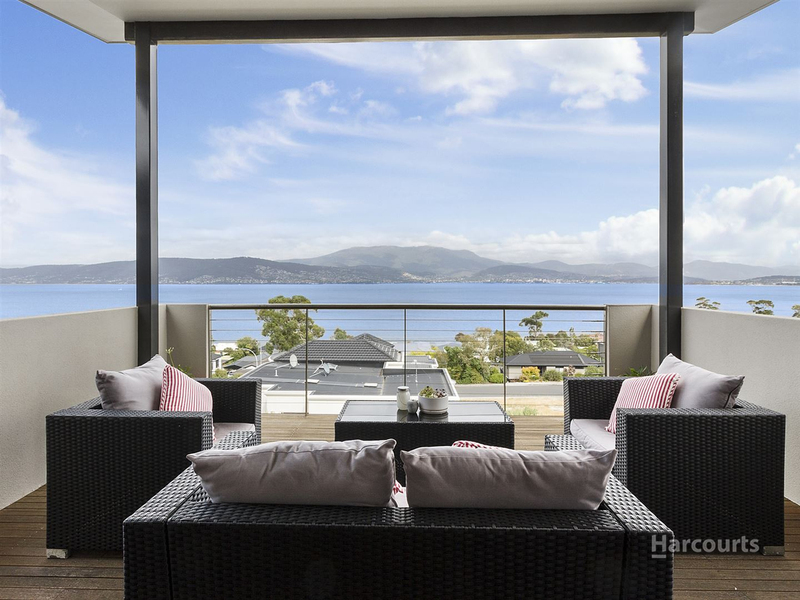 The design of the balcony almost makes it feel like an infinity pool, as it extends towards the wide river Derwent. 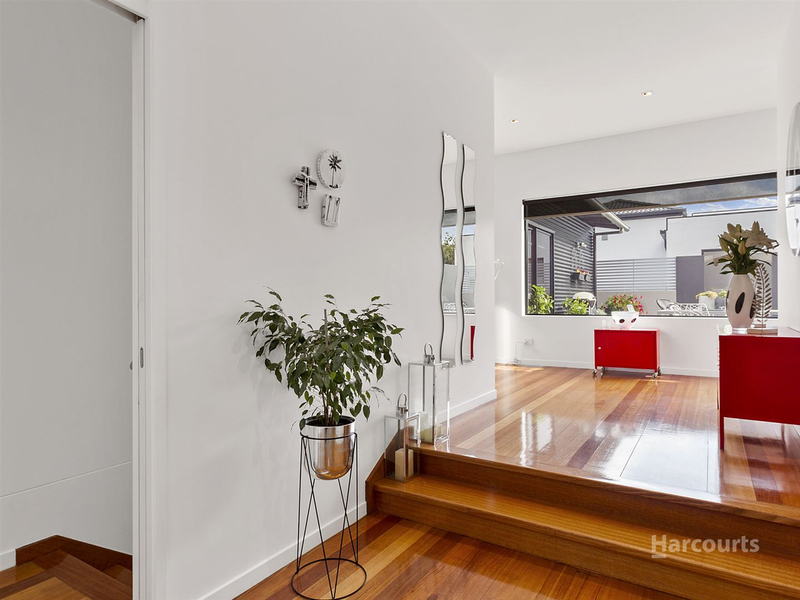 From the other side of the dining space, via sliding doors again, one can walk out into the polished concrete courtyard. 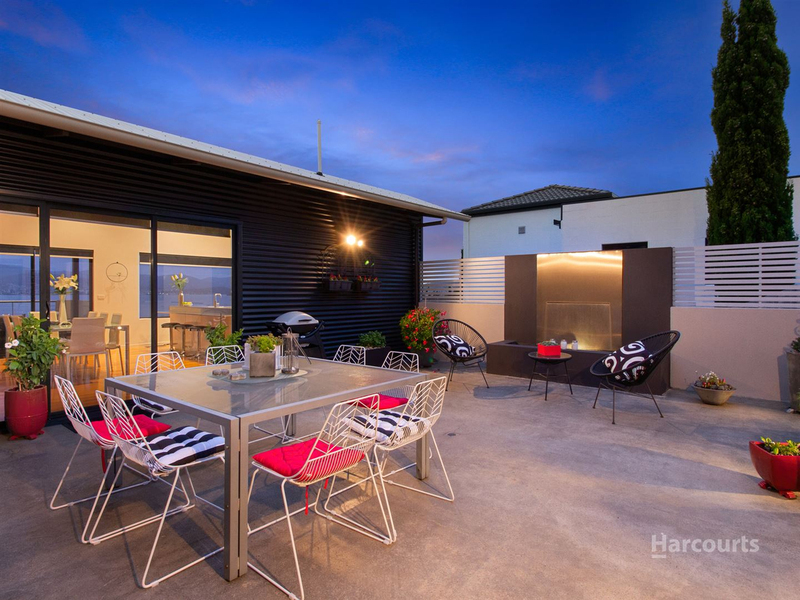 This lovely area is the perfect spot to wine and dine friends or have a fun BBQ with family. There is an attractive modern water feature also that adds to the calm ambience. Potted plants and shrubs really make this space feel warm and welcoming. There is yet another entertainment space which is towards the back of the property, featuring a grassed area, small water feature and plants which are extremely easy to maintain. Play with children, pets or enjoy reading a book in the sunshine, protected and peaceful in this second enclosed courtyard. Walking down a stunning wooden staircase to the lower floor, there are two sizeable bedrooms, both carpeted and featuring built in wardrobes. 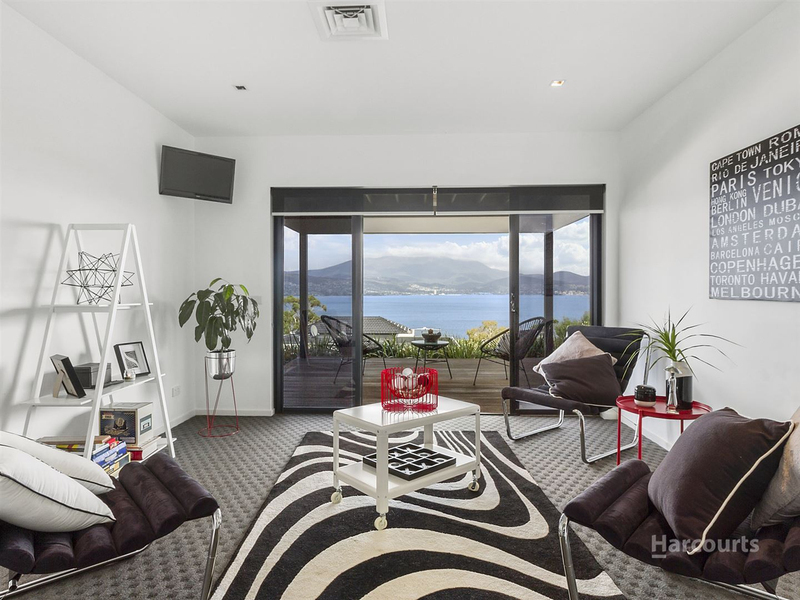 There is also a large rumpus room, which could be used as a fourth bedroom, but operates nicely as a 'chill out' space. From here there is access to the bottom covered deck, which boasts breathtaking panoramic views like upstairs. There is a polished, tiled bathroom on this floor also, with a separate toilet. 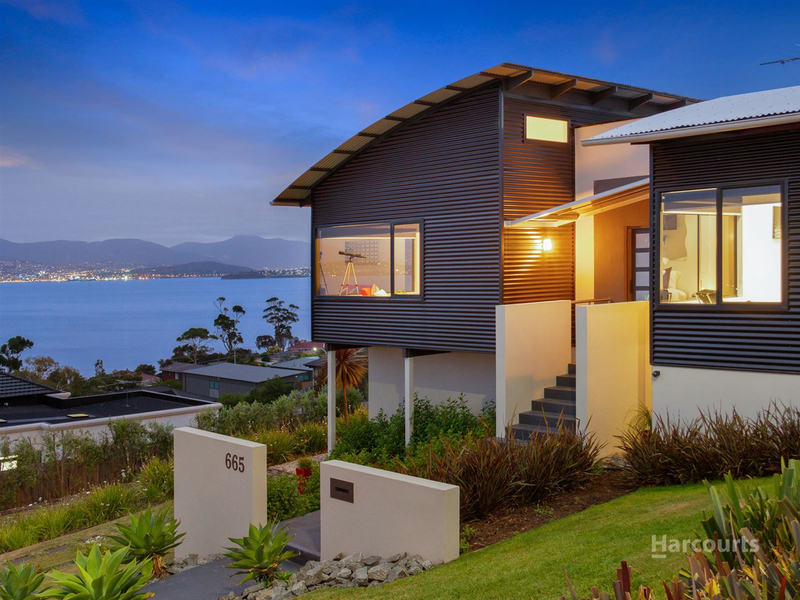 While this home would be incredible anywhere, its superb location is an added bonus. 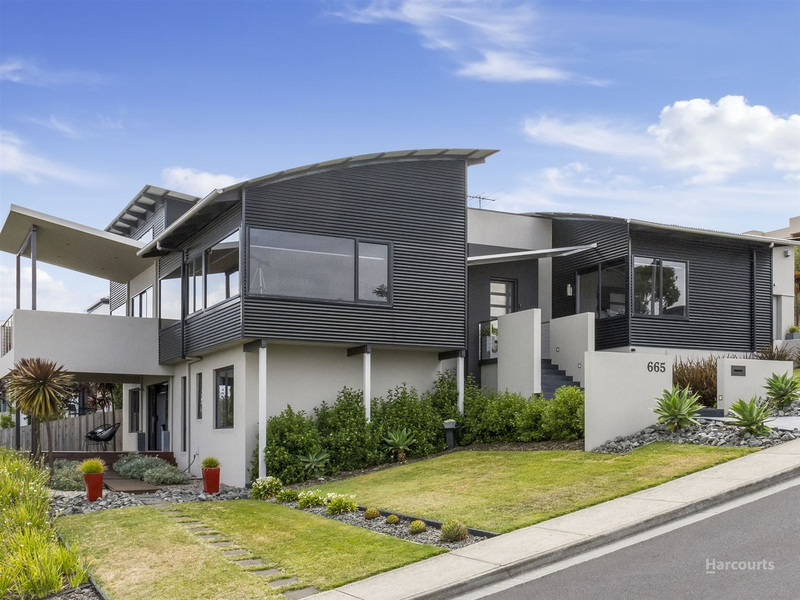 Tranmere is a beautiful suburb with an array of newly-constructed homes throughout, extravagant views and roads which sweep past the scenic river. Driving home from work never looked so good. 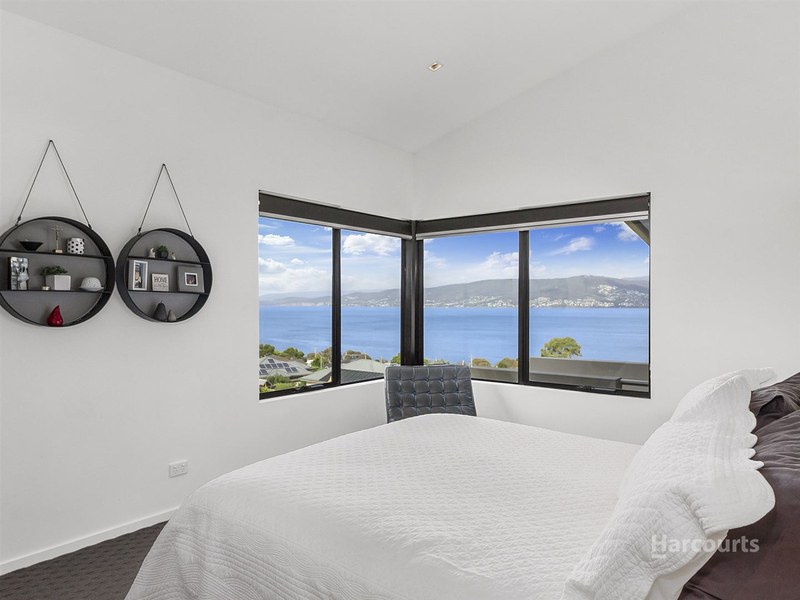 There are multiple schools close by, the Shoreline shopping centre just an 8-minute drive, great takeaway shops and services easily accessible and you can be back into the heart of Hobart in 20 minutes. Need we say more? Luxury can be your new lifestyle. Contact Candice or Greg today.